This is the 3D equivalent of the 2D porous medium test case. 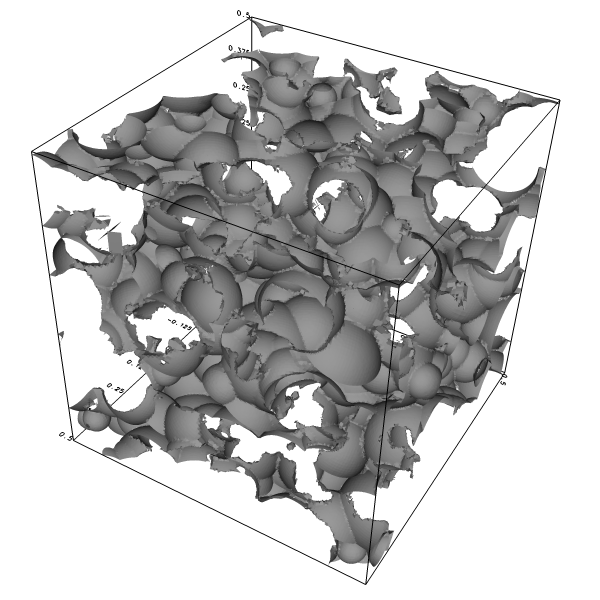 The porous medium is defined by the union of a random collection of spheres. The number of spheres ns can be varied to vary the porosity. Since the medium is periodic, we need to take into account all the disk images using periodic symmetries. Note that this means that each function evaluation requires 27 times ns evaluations of the function for a sphere. This is expensive but could be improved a lot using a more clever algorithm. This is necessary to remove degenerate fractions which could cause convergence problems. The domain is the periodic unit cube centered on the origin. We stop at level 8. 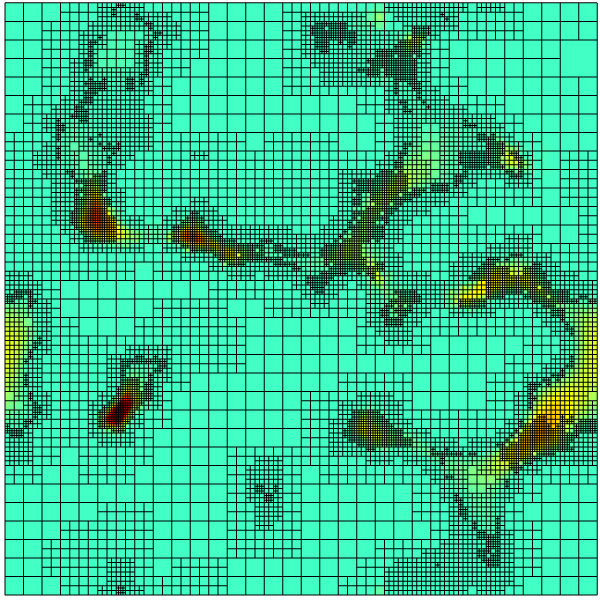 Boundary of the porous medium. Fluid is flowing inside this volume. 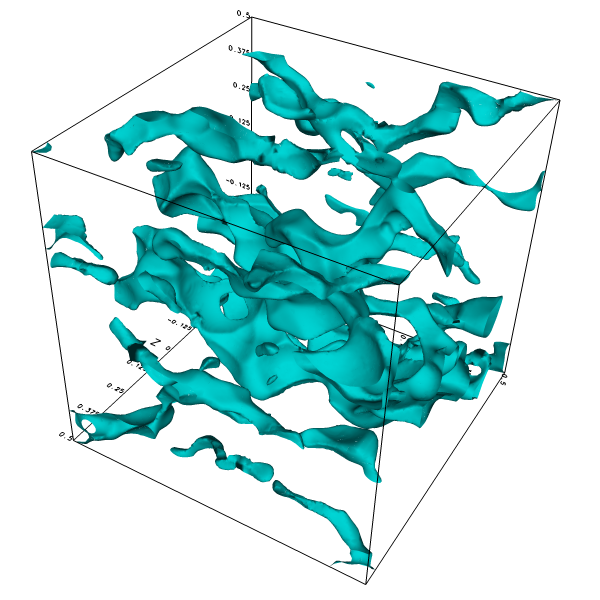 Isosurface of the x-component of the velocity. Cross-section at z=0 showing the mesh and norm of the velocity.